Although the latest meeting of a joint Orthodox-Catholic theological commission ended without a consensus on a proposed statement, the president of the Pontifical Council for Christian Unity believes that there was “very good cooperation” among the commission members and good prospects for an eventual agreement. Although the Russian Orthodox Church has dissented from statements prepared for the joint commission in past years, Cardinal Koch said that the leader of the Russian delegation in Amman, Metropolitan Hilarion, had been an active and willing participant in the discussions and had been willing to help in producing a new draft for the next plenary meeting. 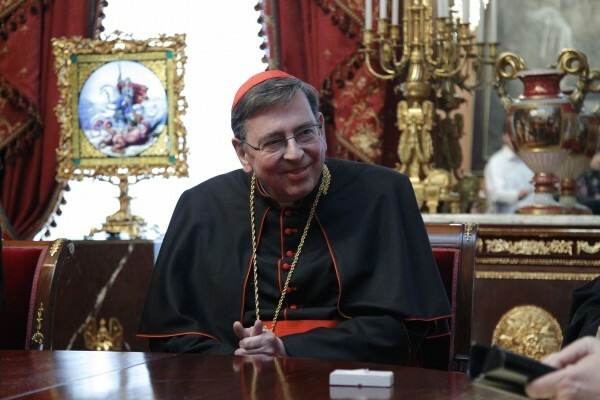 Cardinal Koch reported that the commission members had taken a break from their discussions to visit a refugee camp in Amman, where they met with families who had fled from the path of Islamic extremists in Iraq and Syria.